Priyanka, a millionaire's daughter, and Rizwanur Rahman fell in love and got married. From her palatial house in Salt Lake, she came to the humble two-room house in a lower middle class to live with his family but their happiness barely lasted a month. The police started harassing him. Rizwan was warned to let his wife go back to her house. He was rounded up, kept in detention and later his body was found on the railway tracks. And this hasn't happened in Ahmedabad or Meerut, but in the City of Tagore. Two adults who love each other and want to live together can't be separated but here they were not only in love but also married. Still, the police not only played 'moral guardians' to separate the mismatch marriage: Rich-Poor & Hindu-Muslim wedlock. Several top officials of Kolkata police allegedly colluded to try to separate them and put pressure on Rizwan even as he was seeking legal support and the help of human rights groups. West Bengal, especially Calcutta, is known to have an enlightened society compared to other Indian cities and it is a place where ordinary people and the middle-class does react. There is outrage in Kolkata. 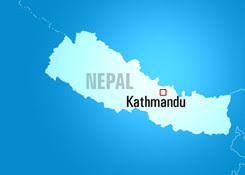 Social organisations and citizens have taken up the issue. Inquiries have been ordered but that's just a way to divert attention. Stern action must be taken against the police officers who harassed Rizwanul and Priyanka, the daughter of Ashok Todi who is Chairman of Lux hosiery. The State and police have no business to interfere in the lives of people and stop people in love from marrying. We have enough of such killings in this country and it's time for us to raise our voice strongly at all forums to ensure that lovebirds don't have to fear for their lives in this country. Going by WB Chief Minister Buddhadeb Bhattacharya's statement that guilty policemen would not be spared and his admission that the case has many angles including money power, communal and social issues. The discourteous reception given to the Iran president at the Columbia University where he was invited and the reaction of mainstream newspapers, has showed sections of American intelligentsia and their press in poor light. Firstly, if they didn't like Mahmoud Ahmadinejad, they shouldn't have invited him for lecture at the University. And when he arrived there, the University president Lee Bollinger introduced the Iranian leader as 'a petty and cruel dictator' to the audience. Bollinger's reportedly aggressive tone and the words he chose to describe Ahmadinejad were distasteful and beyond all civilised norms. If that was not enough, the newspaper reports reflected the feeling of concern that Bollinger's unwarranted aggression may help Ahmadinejad, who remained composed and reacted in a dignified way, earn brownie points. Bollinger didn't stop at this and further said, When you come to a place like this it makes you simply ridiculous' and 'You are either brazenly provocative or astonishingly uneducated'. The president of a leading University must know that you can't grow in stature by belittling somebody, especially your guest. And when Ahmadinejad replied to a question on holocaust by saying that why should Palestinians pay for whatever happened in Europe, the audience applauded him. However, the newspapers were quick to write that 'they were a bunch of anti-Semites'. What a joke! And what are they--Zionist stooges, those on the payroll of pro-Israel lobby! (I haven't used the Jew word yet). If Ahmadinejad is a dictator, what about American president? Who is responsible for killing millions in Iraq by telling the world blatant lies about Saddam Hussein's 'weapons of mass destruction'. Israel can disregard all UN resolutions but US foreign policy remains oblivious to everything. Anyway. I read many articles in American press online and there was a feeling of regret that maybe the insult thrown at him could bring more popularity and sympathy to Mahmoud Ahmadinijad [and more support to him back home]. Such is the American loyalty to the cause of Israel! Do Americans have the right to take any moral high-ground, especially after the Iraq fiasco? I am no fan of Ahmedjinejad but American arrogance perhaps need men like him, who can make them uncomfortable. And that's why a website report said, 'Ahmedinijad, the winner in the battle of nerves at Columbia university'. Former BJP MP Ram Vilas Vedanti has done a Haji Yaqub act, with the statement that anybody who cut DMK leader Karunanidhi's head and tongue would get gold as much as his own weight. The immediate provocation is Karunanidhi's remark on Lord Rama. The Dravidian leader's statements are unfortunate and not in a good taste. Such statements are bound to cause hurt to millions of Indians irrespective of their religion and caste. But this not unexpected from DMK, as the Dravidian leaders especially the pioneering ones were staunchly anti-religion, anti-temple and anti-Brahmin. Karunanidhi said that Ramayana was a fiction and termed the existence of Rama as a Himalayan lie apart from saying that Lord Rama also used to drink. Karunanidhi is also playing to the gallery just as the BJP is trying to woo electorate by rousing sentiments on Sethusamudram project (Rama Setu). Everyone is out to fool the common man and divert the attention from the real issues to emotive ones. Does anybody remember that Vedanti is the same person who was also caught in the sting operation on six godmen who were shown on camera, promising to turn black money into white through donations for his trust. IBN 7 had aired the sting operation earlier this year. Meanwhile, the VHP and BJP have distanced themselves from the remarks of Vedanti but they are not going to let the issue slip away. Togadia has urged activists of VHP to file 1000 FIRs against Karunanidhi. In Bangalore the house of Karunanidhi's daughter was attacked. But the DMK's cadre has also threatened Vedanti and VHP activists to dare set foot on the soil of Tamil Nadu. But Vedanti, Haji Yaqub and the other politicians of their ilk, know that they can get away with irresponsible statements, their diktats or so-called 'fatwas' are mere gimmicks to grab attention. 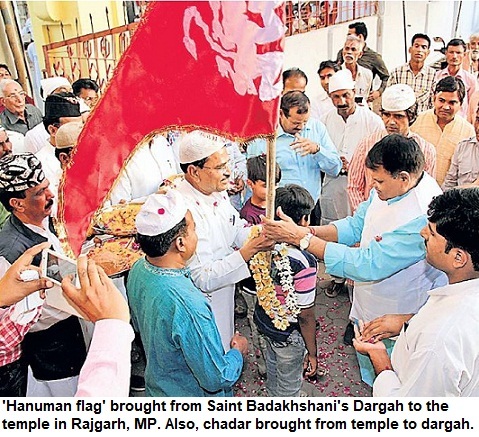 The clash between two groups of the minuscule Bohra community in Udaipur made headlines in national media on Saturday but it's an age-old schism (nearly a century old) and the dispute over claim on mosques also dates back to several decades. It was in the 70s in this Rajasthan city when a section of local Bohras had revolted against the religious establishent and formed the Progressive Bohra community. The Dawoodi Bohras are a sub-sect of the Ismaili Shia community (there are some Sunni Bohras as well) and have the reputation of a hardwork businessmen. number around a million (10 lakh) in India and have main concentration in Maharashtra, Gujarat, Rajasthan and Malwa (Western MP). Udaipur has a population of 15,000 Bohras. The Bohras here got divided first in the early 20th century over alleged misappropriation of Jamaat funds. The rebel 'aamil' could be buried on his death only after the intervention of the ruling family of the princely state. In the 70s, the local religious leadership that was allegedly under corrupt influence asked the Bohras to vote for certain candidates but the popular Youth Party candidates won as they got overwhelming votes. Subsequently, misappropriation of Jamaat funds, corruption and high-handedness of local Bohra clergy became a major issue and the rift kept widening. The majority of local Bohras supported the Youth Party ie the reformist movement. The problem took a serious turn when members of Progressive group were ex-communicated and there relatives in other parts of the country had to shun contact with them. In those days Jaiprakash Narayan and other prominent leaders of stature tried to intervene. As far as I know, the group that calls itself 'Progressive Bohra' don't claim to be another sect and also don't question the authority of Syedna Sahab. The images from Bohravadi (Udaipur) surprised many as Bohras concentrate on trade (and also education) and stay away from such street fights over trivial issues. I wonder why the Bohra establishment doesn't try to settle this old dispute and win over the other smaller group, if there is no theological issue involved. Of course, it's an outsider's opinion as Bohras better know if it's just an old dispute, a problem of ego or something else! Kanchana, 67, couldn't marry Moideen, her childhood friend because of their different religions, and didn't meet him for years due to family restrictions. After his death in an accident, she decided to remain single all her life and lived his dreams in the form of his social work which she has taken ahead. "I went through hell living on hope for the first 25 years after they found out about us, because of him. I will still go through anything for him, again", says Kanchana. This amazing love story is reported by Rajeev Pi from Kerala. Moideen and Kanchana studied in same school in their town in Kozhikode and fell in love in their youth. But their well-to-do yet ultra-conservative families couldn't allow them to marry. 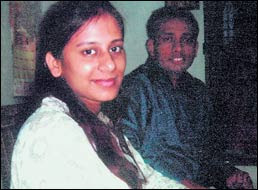 Kanchana couldn't marry for sake of her younger sister as her own marriage with a Muslim would have sealed marriage prospects of her younger sister. She was confined to her house. Moiuddin turned to writing stories apart from social work. They exchanged just a few notes in over a decade. Then Moiuddin died when a boat overturned in Iruvanji river. She also tried to commit suicide. But one day Moiuddin's mother came to her house and gave her everything which her son possessed including his library. She found her scribbling sent to him, safely tucked between pages. Mohiudeen's mother died soon after. Kanchana now heads a shelter for homeless, a family counselling centre, a blood donor's network linking villages, a good library and lot more with funds coming from villagers for the BP Moideen Sewa Mandir. This amazing story can be read here. 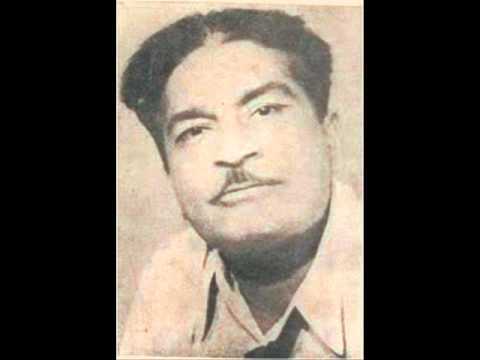 Great Urdu poet Akhtar Shirani passed away this month nearly 60 years ago. But his unrequited love affair, letters purportedly written by him and the mystery of 'Salma', still evoke tremendous interest among readers. Shirani was among the most popular poets of his generation. His famous romantic Nazms include 'Aye Ishq kahiiN le chal', 'Jahaan Rehana rahti thi' and Salma. Along with Majaz, he is also often referred to as Keats of Urdu poetry. He is referred to as 'Shahzada-e-Ruman' [Prince of Romance] and Shaaer-e-Husn-o-Javaani [Poet of youth and beauty]. After failing to get his lady love, Akhtar had drowned himself into liquor and died at an early age (43). He was the son of the renowned scholar Mahmood Sheerani who taught at Oriental College but unlike his father, Akhtar lived a bohemian life. Even sixty years after his death, publishers in India and Pakistan continue to cash in on his 'colourful life'. A periodical in India claims that in the special issue it would name the woman who was referred to as Salma. Another publication in Pakistan prints some 'hitherto hidden' letters of correspondence for the first time and a weekly boosts its sales with a special report claiming that he didn't die but had committed suicide. The man who used to gift away a note of Rs 50 to a pan walla because of the latter's tehzib of giving paan, spent the latter part of his youth and the last years in utter distress. He may have initially turned to liquor to forget Salma. But his son's (Javed Mahmood alias Zuboor) sudden demise, the suicide of close friend Mirza Shuja Khan Shaivan, the incident of his son-in-law Naziruddin Shirani getting drowned in the Yanas river and that his daughter became widow at a young age, broke him. His strained relations with his father also added to Akhtar's frustration. Shorish Kashmiri wrote that it was better not to see Akhtar. In his poetry he looks like a Greek God and in real life he is merely an 'echo of apology'. If you come across him in real life and someone tells you that he is the great Akhtar Sheerani, you will feel cheated, said Shaukat Thanvi. Thanvi vouches for the fact that Shirani was never seen in 'Aalam-e-Hosh' [he was always drunk]. Akhtar was in Tonk, Rajasthan at the time of partition and was seriously ill. Rumours spread that he was killed along with his entire family while crossing the border. Jang published an article titled "Where is Akhtar Shirani?". Another paper published a letter of Dr Ahmar. Akhtar passed away in September in 1948. He was brought to hospital in an unconscious state. The photographs of Akhtar on his hospital bed were published in papers. Mukhtar Tonki writes in Aiwan-e-Urdu that stories were fabricated even after his death. It was said that his body was found on the street and taken to mortuary with nobody identifying it, that he committed suicide et al. In 2004, weekly magazine 'Lahore' published letters to 'unravel' the truth about his mystery love and death. And later Takhliq also printed similar story. Munshi Abdul Baseer wrote the Nazm in which each stanza's letters alternately added up to 1948 and the corresponding Hijri year. Daud Khan, who became famous as Akhtar Shirani, was born in 1905 in Tonk, Rajasthan and just two years after his father's death, the poet of romance also passed away in Lahore on September 9, 1948. You can read ghazals of Akhtar Shirani in Urdu, Hindi and Roman scripts here.